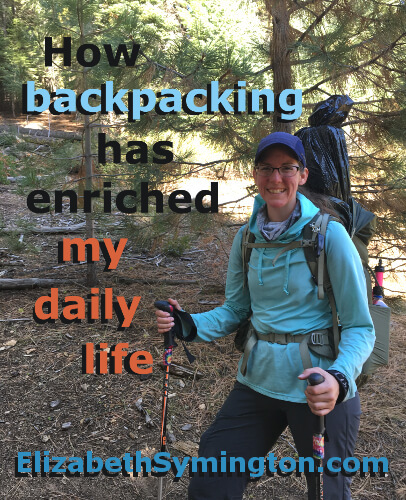 This is Day 17 of the 31 day series on “How backpacking has enriched my daily life.” I expected lightweight backpacking to be a hobby. Instead it has transformed me for the better. The United States is going through one heart breaking disaster after another: hurricanes, mass shootings and enormous fires. 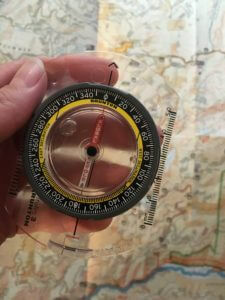 I’m thankful for my backpacking survival skills, because they give me peace of mind in these times of uncertainty. My bug out bag is ready to go, but more importantly I have the knowledge and skill set for wilderness survival. Growing up, my family went hiking and car camping all the time, but I didn’t get into lightweight backpacking until I started dating an Eagle Scout. He knew that I wanted to learn to navigate using a map and a compass, so he recommended the Boy Scout orienteering merit badge book. These entry level books teach the core skills and knowledge on a particular topic, ranging from Emergency Preparedness to Game Design. Out of the 230 or so merit badge books, about 40 are calling my name. So I’ll be busy learning new skills for a while. As of last week, The Boy Scouts of America announced that girls can join the Boy Scouts and earn the title of Eagle Scout! I am so thankful that future generations of women can have easier access to the self-empowering wilderness survival skills, as well as on how to be responsible citizens of the world. How is your bug out bag looking? Are you prepared? Do you have the 10 Essentials? Don’t know how to prepare for an emergency? A good place to start is by reading The American Red Cross’s Emergency Preparedness Checklist.